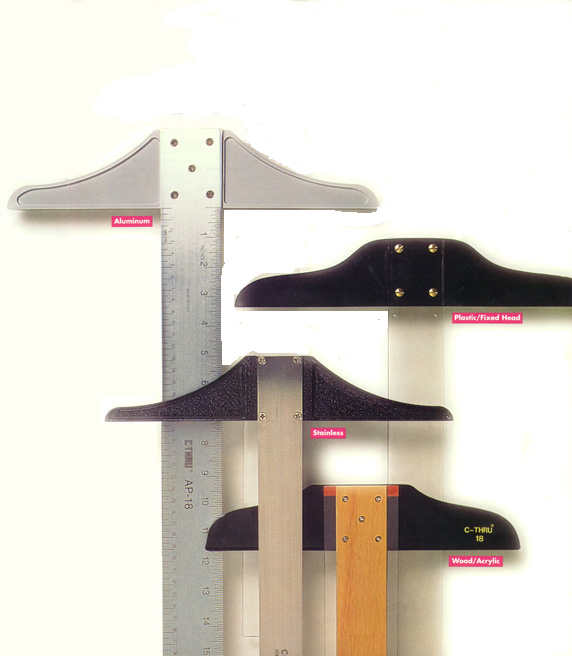 Home :: Framing Supplies :: Rulers, Straight Edges & Scales :: T Squares :: Aluminum Calibrated T-Square - 36"
2" wide blade is constructed from instrument grade aluminum attached to a durable plastic head. One edge is graduated with the 1st inch in 32nds, thereafter in 16ths. The other edge in centimeters. Hang hole.